P.O. Box 349 | 525 Beck Blvd. TURN precast forms more quickly. Finish slabs sooner. With OPTIPOZZTM, the new high-reactivity, flash-calcined metakaolin that outperforms traditional pozzolans such as silica fume and fly ash. OPTIPOZZTM cures fast. This gives cement-based products significant compressive and flexural strength early in the curing process. Precast producers can now turn forms more quickly. Also, an OPTIPOZZTM mix design produces less bleedwater, so slabs can be finished sooner. 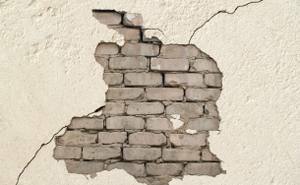 In short, OPTIPOZZTMmakes cement-based products stronger, harder, faster. But, there’s more. OPTIPOZZTM is easy to handle. 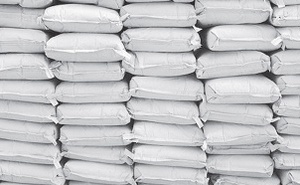 It comes in powder form, packaged in paper bags, bulk trucks or bulk railcars. Its low dusting characteristics allow for easy dispersion in the mix design. Clean-up is a snap. OPTIPOZZTM is white, so there is no dark undertone to cementitious products. Due to its chemical composition and as a result of a unique heat treatment process BURGESS OPTIPOZZTM is a highly reactive metakaolin that is categorized as a Class N Pozzolan. The term “highly reactive” means that OPTIPOZZTM metakaolin is available to react with the free lime produced as a result of the Portland cement. By utilizing OPTIPOZZTM metakaolin in a cementitious mix design, the working characteristics of wet concrete and finished properties of cured concrete are significantly improved. By replacing 10% - 20% of the weight of cement in the mix design,OPTIPOZZTM will significantly reduce efflorescence.